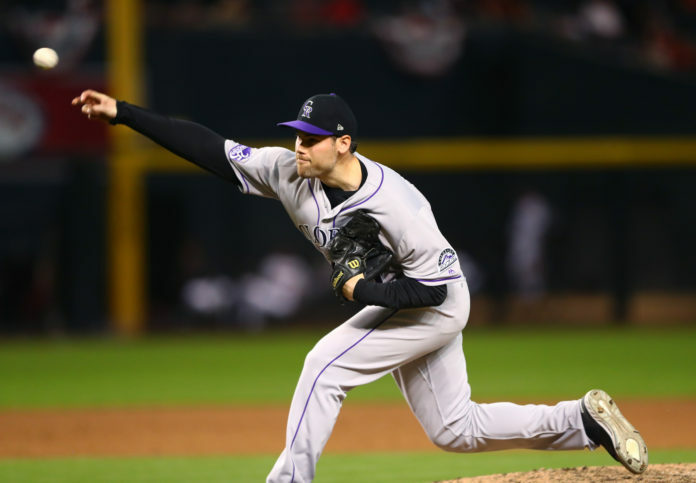 Throwing the breaking-ball has always been Adam Ottavino’s love. Since childhood, it’s been his fascination and desire to throw the best breaking ball possible. This year he is doing just that. Ottavino says it was in college when his deadly slider that has struck-out batters with great success in 2018, began its metamorphosis to what it is now. “It was in college; I started trying to throw a cutter. It kind of turned into a bigger, sweeping cutter. It’s sort of like the slider you see now. 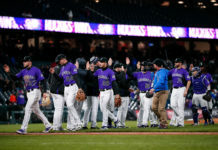 I’ve had a lot of different breaking balls,” Ottavino said from the Rockies clubhouse during the club’s first homestand of 2018. 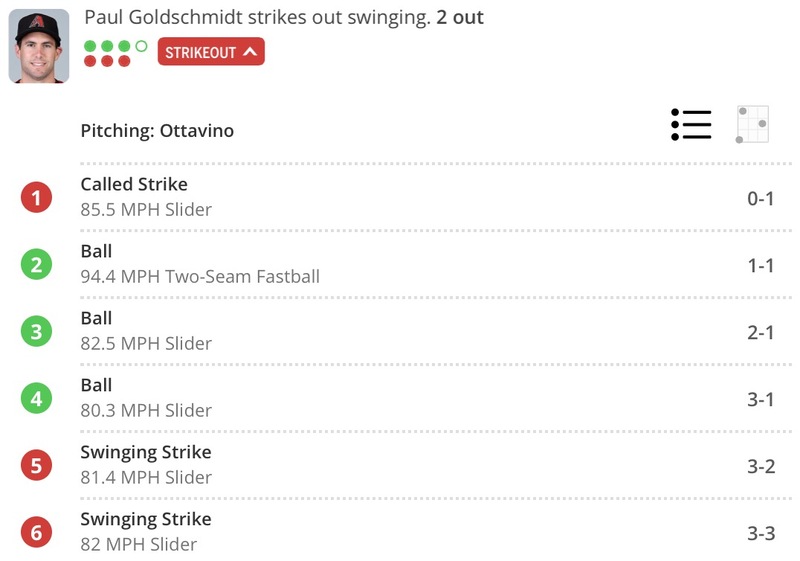 That slider has powered Ottavino to a resurgence on the mound. In his first 8.2 innings in 2018, Ottavino has recorded 18 strikeouts, pushing his SO9 (strike-outs per nine innings) to 18.69, fifth in baseball. He has walked only one batter and allowed a lone hit — a single. It’s early in the season; however, initial returns are extremely promising for the right-hander, who last year posted the worst ERA since his rookie season when he made just five appearances. Not including that 2010 season with St. Louis, Ottavino last year posted career highs in ERA, walks and WHIP. The 32-year-old from Brooklyn at times has used his signature slider to be one of the toughest right-handed relievers in the game. He boasts a career 9.7 SO9 and 3.87 ERA in 300 appearances. In 2015, before he was sidelined for the year with a torn UCL, Ottavino pitched 10.1 innings, allowing no runs and just three hits, striking out 13. He’s off to an even better start in 2018. Ottavino says command has been vital to his resurgence this season. The slider has been the bread and butter for Ottavino one again. 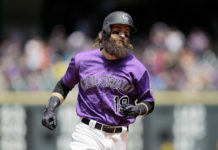 It was on full display in the Rockies’ second series of 2018 against the San Diego Padres. 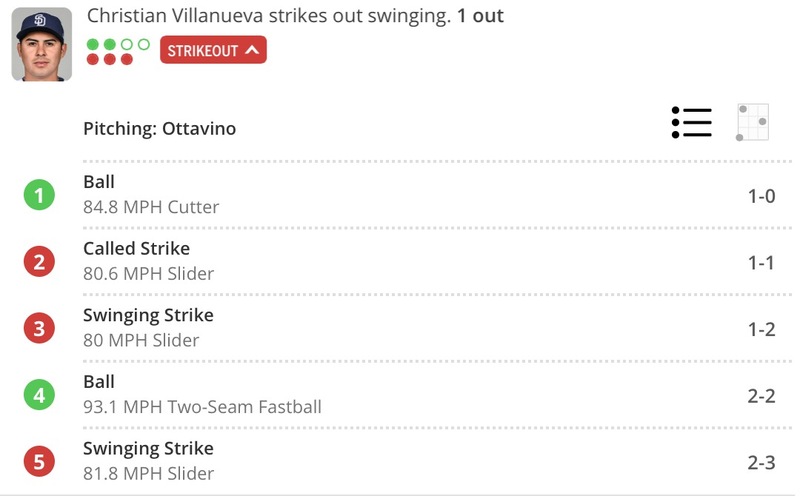 Working against Christian Villanueva — hot off his three home run performance on April 3 — Ottavino on April 5 got Villanueva to whiff multiple times before getting a strike out on a low slider. In Ottavino’s second appearance this year, he threw 14 pitches, striking out the side in the sixth inning against the Arizona Diamondbacks. 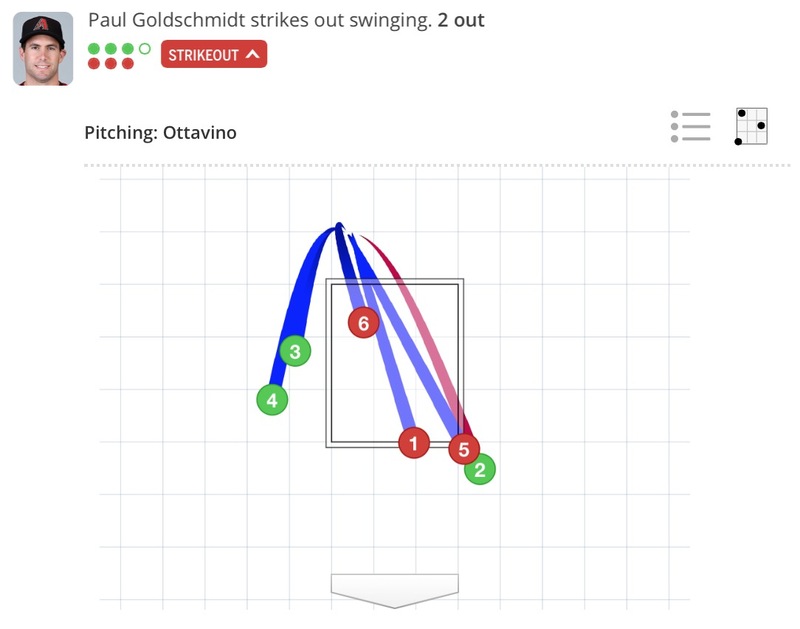 Ottavino displayed that pinpoint accuracy, keeping the slider low against one of the hitters in the National League, Paul Goldschmidt, striking him out with the ‘sweeping’ version of the slider. Even when it’s working, Ottavino’s strong slider isn’t effective without an effective fastball to keep batters on their toes (not to mention distancing himself from the ‘one-trick pony’ label that no pitcher wants to bear). Establishing the many variations of his signature slider has also been vital to his resurgence in 2018. 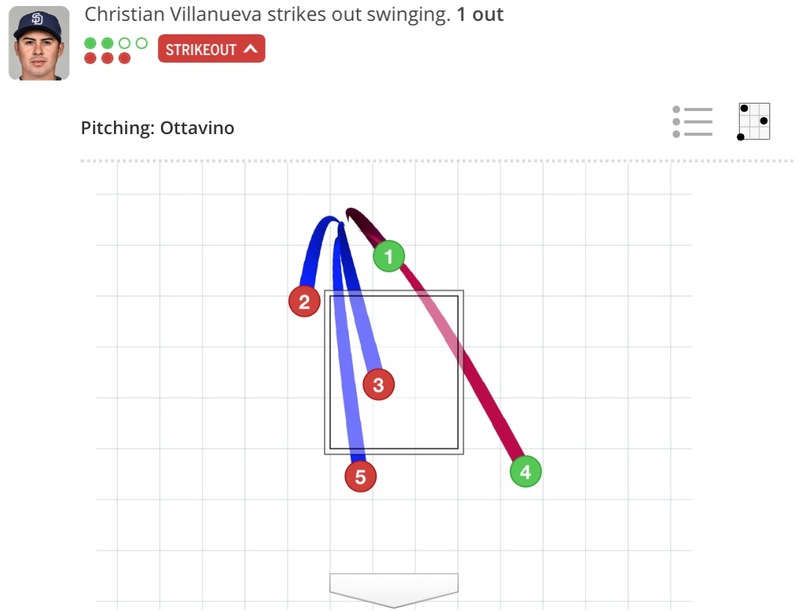 Ottavino’s role is quite still evolving with Colorado — not defined as a clear seventh-, eighth- or ninth inning guy, but a deadly option that can be plugged in when needed, with a lethal pitch that is back and creating chaos for opposing hitters. 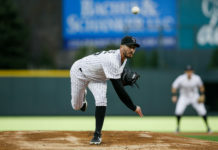 After Colorado spent $100+ million on arms like Wade Davis, Bryan Shaw and Jake McGee, Colorado’s getting plenty of production and effective play from Ottavino, something they didn’t see consistently last year, which could be a major key towards transforming the Rockies good bullpen, to the ‘super bullpen’ that it was highly-profiled as.